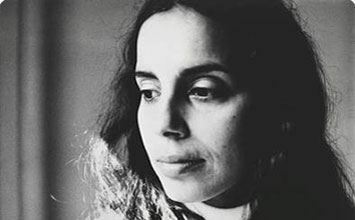 The below artworks are the most important by Ana Mendieta - that both overview the major creative periods, and highlight the greatest achievements by the artist. Artwork description & Analysis: In 1972, Mendieta recruited a fellow Iowa University student to help her create Untitled (Facial Hair Transplant). Mendieta asked the student to trim his beard so that she could collect the trimmings and then carefully glue them onto her own face - a process that was fully documented. The resulting photographs can be situated in the artist's early stream of body alteration pieces, which also includes a series of images in which she distorted her body parts by smashing them into panes of glass and another series in which she transformed her appearance using makeup and wigs. Untitled (Facial Hair Transplant) is a blatant manipulation that evinces the artist's interest in the fluidity of her body and its gender identification. Artwork description & Analysis: A few years into her studies at the University of Iowa, while Mendieta was enrolled in Hans Breder's Intermedia Art course, a fellow student named Sara Ann Ottens was brutally raped and killed. In response to the incident, and as a vehicle to express the horror of male sexual violence, Mendieta staged a poignant and shocking performance. Artwork description & Analysis: Later that same year, Mendieta worked with blood as her primary material once again. In Untitled (People Looking at Blood, Moffit), she spread animal blood and viscera on the sidewalk outside her house, so that it looked to passersby as if the blood were leaking out from under her closed doorway. Incognito and across the street, the artist then surreptitiously captured people as they walked by the macabre pool of gore, most of whom spared it no more than a passing glance. The resulting images are a series of slides and a Super-8 film that document these strangers' detachment to violence. Artwork description & Analysis: Mendieta's work on her Silueta series (Spanish for "silhouette") in the 1970s established her among the ranks of artists exploring the emerging genres of Land art, Body art, and Performance art. Her "earth-body" series put her at the forefront of this experimentation with pieces that were some of the first within the art world to blur the boundaries between performance, film, and photography. Mendieta unraveled her relationship to the Earth and to her femininity by creating imprints of her naked body on the land in places she held especially dear, such as Cuba, Mexico, and Iowa. She would then remove herself and denote the resulting outline, or silhouette, with specific colors or materials that would evoke these places of personal identification. Artwork description & Analysis: Untitled (Blood and Feathers #2) is a three and a half minute Super-8 film accompanied by 35mm slides documenting a performance undertaken by the artist while she was a graduate student. It shows Mendieta standing naked in front of a flowing creek, looking directly at the camera while pouring blood out of a flask and down the front of her body. She then reaches behind her, pours the remaining blood down her back, and casts the empty container aside. The artist then falls into a heap of white feathers and slowly rolls around as they adhere to her bloodied form. The film ends with Mendieta standing slowly, her arms bent to resemble wings - a position she holds for the final moments of the film. Artwork description & Analysis: Mendieta once said about her artwork: "I have thrown myself into the very elements that produced me." This sentiment is most pointedly expressed through her Siluetas series. In this particular piece, the artist created an outline of her body on the beach at La Ventosa, Mexico and filled the imprint with red tempura. As the tide rose and the ocean waves washed over it, the shape gradually eroded away and the color dissipated into the sea until finally, nothing remained. Artwork description & Analysis: In this photo, we see a stone niche high in the walls of a Mexican monastery complex called Cuilapan de Guerrero that frames a chilling, ghost-like white figure smeared with what at first glance we intuit as blood. Upon closer look, we find the form is the artist wrapped in a white sheet, the front of her body creating a red stain on the fabric. The figure could be a robed Madonna, but the red, skeletal imprint unsettles these associations and reveals Mendieta's interest in indigenous religious practices such as human sacrifice. Mendieta was highly critical of the historical imposition of Catholicism upon indigenous peoples. This piece signifies her criticism by subverting this convent's history of evangelization through positioning her ritualistic piece within the hallowed vaulted alcove meant to display Catholic religious figures. The piece also evinces Mendieta's interest in the roots of Cuban Santeria - a time during which black slaves masked their "Santero" divinities under Catholic names so that they could worship without the fear of punishment at the hand of slave owners. Artwork description & Analysis: By 1978 Mendieta's Siluetas and films had given way to a body of work consisting of forms carved into rock, made from sand, or etched into clay. 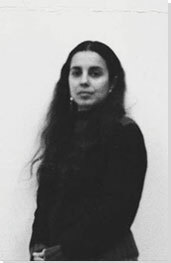 She created a series of these works while in Cuba in 1981, and collectively entitled the pieces Esculturas Rupestres (rock sculptures). She chose naturally formed grottos in a national park outside of Havana where pre-Hispanic peoples once lived as the setting for these abstract, spiritual figures. Each was representative of, and named after, a goddess from the Taino or Ciboney cultures such as Iyare the Mother, Maroya the Moon, and Guanaroca the First Woman. First published on 05 Jul 2017. Updated and modified regularly.